We’ve all been there. You open up your boxes of Christmas ornaments, only to find that many of them look ready for the trash. Perhaps they have rubbed together and the surface has scratched, or the ornament is just too plain and needs an extra something. Maybe the surface paint has chipped or yikes! even cracked. Perhaps they are just downright ugly and you wonder why you ever bought them. Never fear. 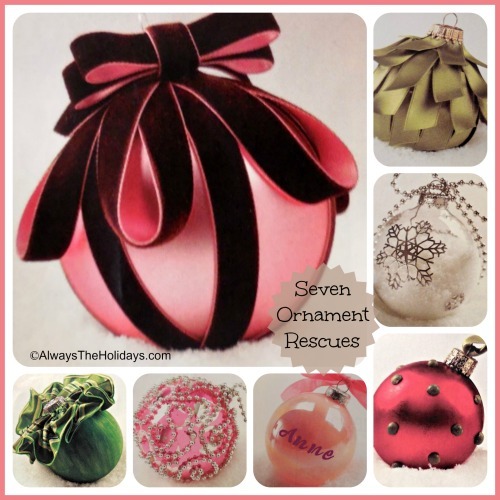 Try one of these ornament rescues and the ornaments you hate or were going to throw away will be given featured status on your tree this year. This ornament had a scratched finish and was not good enough to hang as it was. Velvet ribbon fixed the problem in no time. 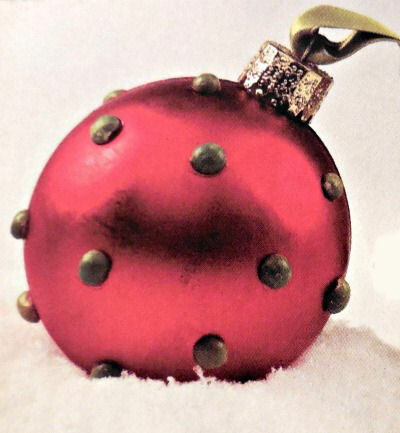 Just apply hot glue to the ornament where the scratches are. Space evenly and wrap with velvet ribbon. Make a bow topper by folding the ribbon three times and then wrap it with a final loop and hold it in place with a dab of glue on the ball. This ornament was an awful shade of yellow. Some lime green acrylic paint gave it a more pleasing color. Just rub some off while it is still wet for a textured look. Then take some wire ribbed ribbon and pull out one side of the wire. Hot glue the pulled out side to the top and left the remaining material fluff out. This ornament was cracked and destined for the trash. 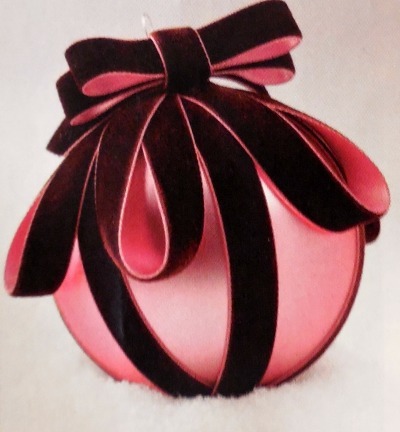 To renew it, just cut 5/8″ ribbon into 1 1/2 and 2″ long strips (depends on the size of your ornament. This one is a normal size. 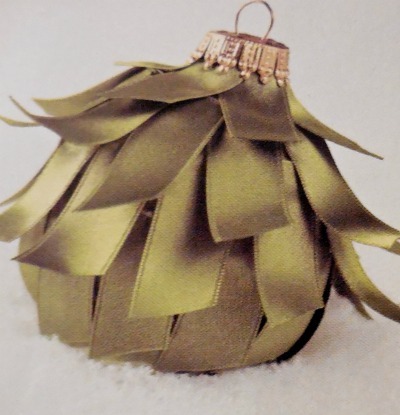 Cut longer strips for bigger ornaments.) Glue the strips to the ornament, starting at the bottom with 3 rows of the shorter strips, and then finish the middle and top with the longer strips. What a flirty rescue! Here is another plain see through ornament just asking for a face lift. 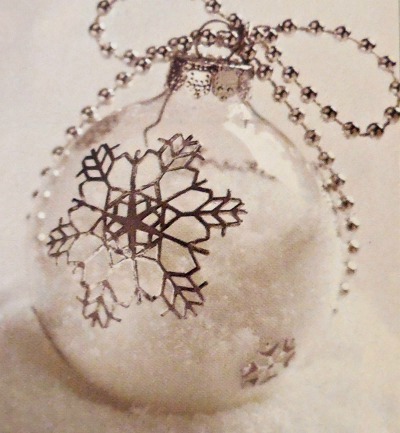 To make this, open the top and fill the ornament about 1/2 to 2/3 full of artificial snow. Replace the top and add a snowflake decals to the outside. Loop a bow of craft store beads to the top and your plain ornament is a snowy treasure. This plain red ornament was nice but needed a little something extra and also had a couple of dents in it. A bag of dried split peas gave it the dotty look and it ended up cute as can be and also hid the places where it was dented. Add a piece of ribbon to the top the color of the peas and this fun polka dot is ready to go back on the tree with pride. This one was almost a hopeless case. The paint had really chipped off it and the surface was very blotchy. The only answer here was to embrace those blotches by making them the feature of the background. Make the surface more pronounced by adding hot glue to the surface in swirls and then peeling some off after it dries. 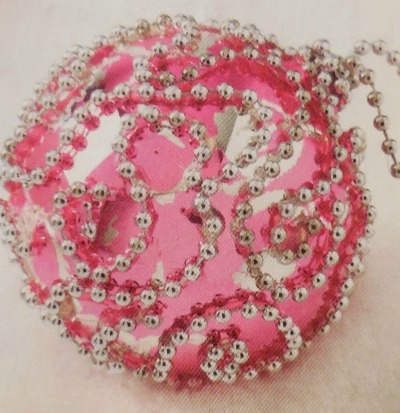 Then hot glue a ball chain in a swirl pattern that does not match the paint swirls. 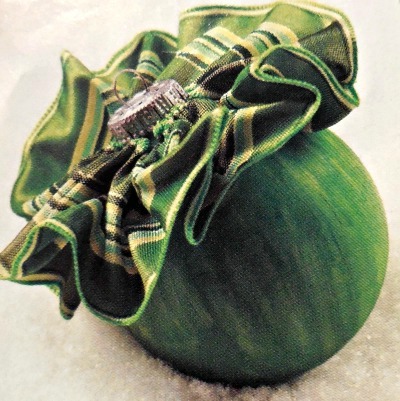 This gives a mottled look to the ornament and it will sparkle beautifully on the tree. These ideas came from a very old issue of Better Homes and Gardens magazine. 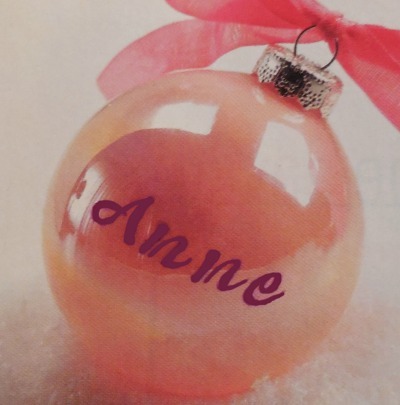 Have you ever refurbished ornaments that you thought were destined only for the trash? What did you do to revive them? Funny you should post this… all the balls form my Downton Abby tree ( oh yeah, a theme tree completely dedicated to this British hit show ) were sold the other day… now I need to come up with something else and I was thinking of painting some old balls and distressing them. I’m going to look through my acrylic paints and get started! Glad it gave you inspiration Shelley! Thanks for the wonderful hints for damaged ornaments – will be following this, for sure!! My pleasure Barb. Glad you enjoyed the article.